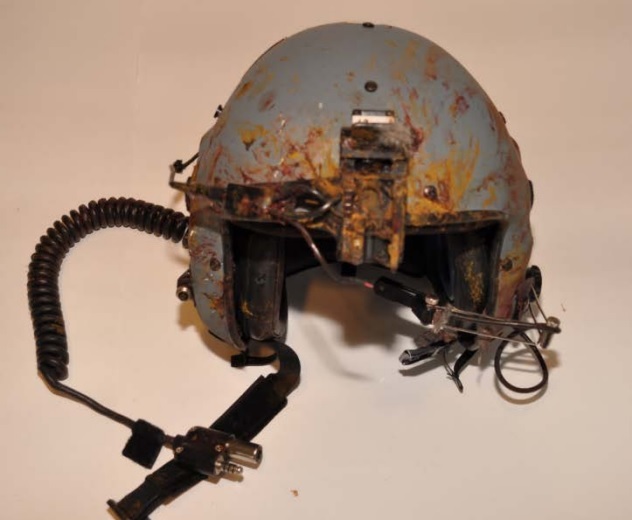 During a night training flight using Night Vision Goggles (NVG), one of a pair of Swedish Armed Forces Agusta 109LUHs (known to the Swedish military as a Helicopter 15), 152-765, collided with a bird on 3 February 2017. The bird went through the windshield and struck the student pilot resulting in serious facial injuries. The instructor was able to take control and perform a safe landing. The Swedish Accident Investigation Authority (SHK) has issued their report (in Swedish but with an English summary). The training exercise near Sveg in Northern Sweden, involved Nap of the Earth (NOE) flight as low as 20ft. The area had been used for exercises for 7 years, with ‘Recognized Exercise Paths’ established. 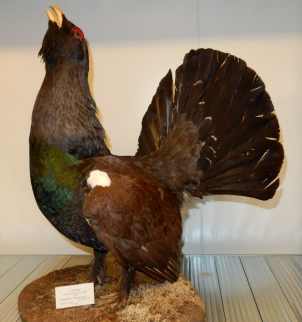 The aircraft was at around 35ft and 100 knots when it hit a Western Capercaillie (otherwise known as a Wood Grouse) with an estimated weight between 3.6 and 4.8 kg. There are about 700,000 of these in Sweden, with a greater propensity in the north of the country. They most active during dawn and dusk but do take to the air at night when scared. The bird went through the right hand windshield. The student’s helmet was split, their NVGs knocked off and the student’s spectacles broken. The right hand pilot’s door upper and lower locks were also damaged. The instructor landed at a site where the second helicopter could recovery the injured pilot. 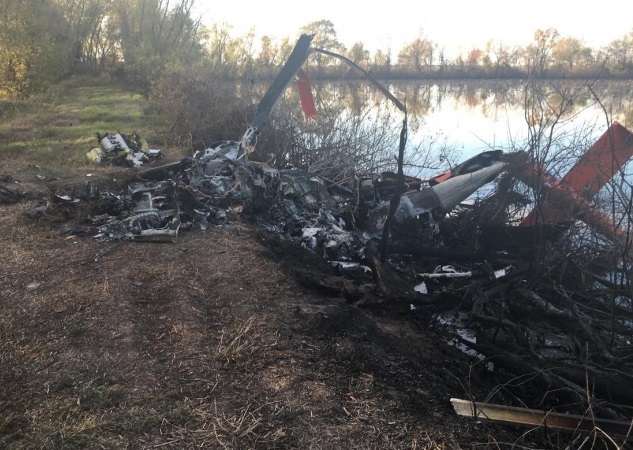 The investigators believe the pilot’s spectacles may have provided some extra protection form the bird debris and NVGs. A risk analysis had been carried out before the exercise using an Operational Risk Management Method (ORM) tool, with 17 different hazards identified. 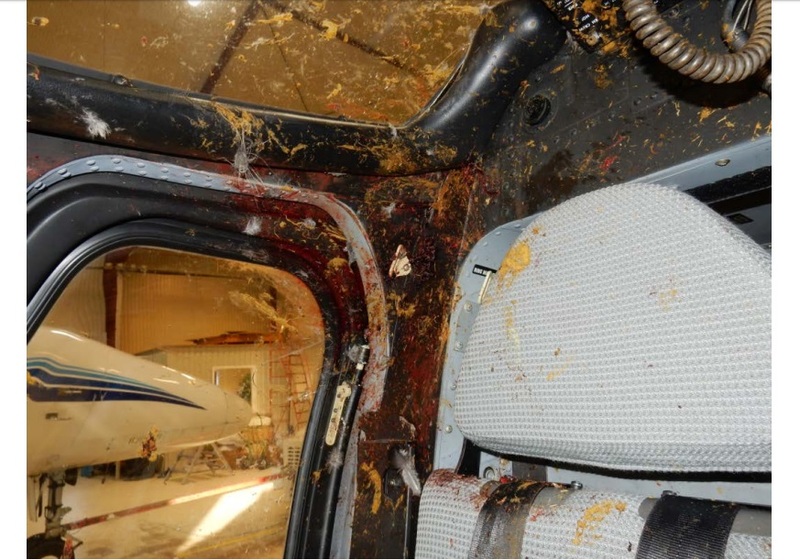 Although bird strike was considered the only mitigations were post-impact recovery measures. 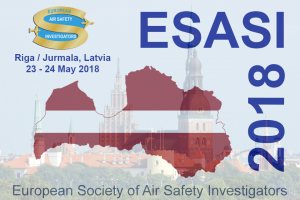 Similarly SAR helicopter cover was a mitigation to a number of accident scenarios but there was minimal change to the exercise when it was known the cloud base was too low for Swedish Maritime Administration Leonardo AW139 SAR cover. [The probability of] collision with such large birds may generally be considered to be low. However, there are several parameters that affect the probability, such as the area of ​​the flight, the time, the flight altitude and the speed. The A109 was certified according to JAR-27. This required the windscreen resist aerodynamic forces that occur during flight up to maximum speed with a sufficient safety margin and it does not fragment into small debris when damaged. There is no specific requirement on bird strike resistance even in current EASA CS-27 / FAA FAR-27. The operating unit were not aware of this. Part 29, for civil rotorcraft over 3,175 kg does now have a 1 kg bird strike requirement at maximum speed up to 8,000ft. The NH90 (Helicopter 14) can withstand a collision with a bird weighing 1 kg up to 300 km/h. The Sikorsky UH-60M Black Hawk (Helicopter 16) can withstand a 1.8 kg bird at the maximum speed up to c5,000ft report the SHK. It is clear from the investigation that the risk analysis performed before the training only took into account the risk of bird strike to a limited extent, and that there was a lack of knowledge regarding helicopter 15’s certification requirements with regard to bird strikes. The accident was a result of the exercise not being sufficiently adapted in terms of altitude and speed on account of the incidence of grouse in the area. A contributing factor was weaknesses in the risk analysis, where knowledge of Helicopter 15’s limited capacity to sustain a bird strike was lacking. Additionally it was noted by investigators that before the exercise that it was known that there was no SAR helicopter cover during the exercise due to poor weather. Routings have been changed to be closer to Sveg and favour low flying over plateaus rather than in valleys where capercaillie nest. Speed has been reduced to <80 knots, bank angle reduced to <20° (as sudden banking creates sudden noise increases at ground level that alarm nesting birds) and the first flight along a route being at no lower than 65ft. Swedish NH90 CFIT: Pilot Experience and Skating on Frozen Lake: A Swedish NH90 crew with low experience on type had a lucky escape when they inadvertently descended and struck a frozen lake during an exercise in Norway. Swedish Special Forces SPIES and Military SMS: Safety lessons from a serious incident during a Swedish Special Forces trial of Special Patrol Insertion and Extraction System (SPIES) under a UH-60M helicopter. This investigation also commented on risk assessment and SMS. Of the eight injuries reported, four were to pilots, and four were passengers. The incidents typically involved medium to large birds, with some penetrating into the aircraft. The more minor injuries were typically the result of flying debris caused by the strike — particularly broken glass. In terms of the impact on the aircraft, 79 strikes (12 percent) resulted in at least some damage. 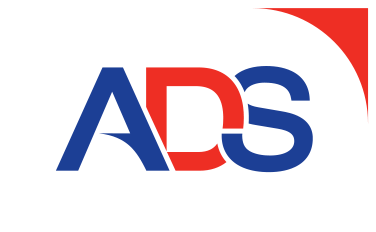 Of these, 41 (six percent) produced “substantial damage” — defined as damage to an aircraft’s structural integrity, performance, or flight characteristics, normally requiring major repairs or the replacement of the entire affected component. In all, 28 incidents resulted in over $10,000 in damage/repair costs, four of which exceeded $100,000. For the three-year period, bird/wildlife strikes to helicopters resulted in a total of over $3.7 million in repair and damage costs — not including the revenue lost to an aircraft being out of service while in repair. UPDATE 9 November 2018: The NTSB report that Air Methods HEMS Bell 407 N620PA suffered an in-flight loss of control due to multiple bird strikes from a skien of snow geese (typically 4lb+) on 19 November 2017 while cruising at 1240ft AGL (all3 POB died).